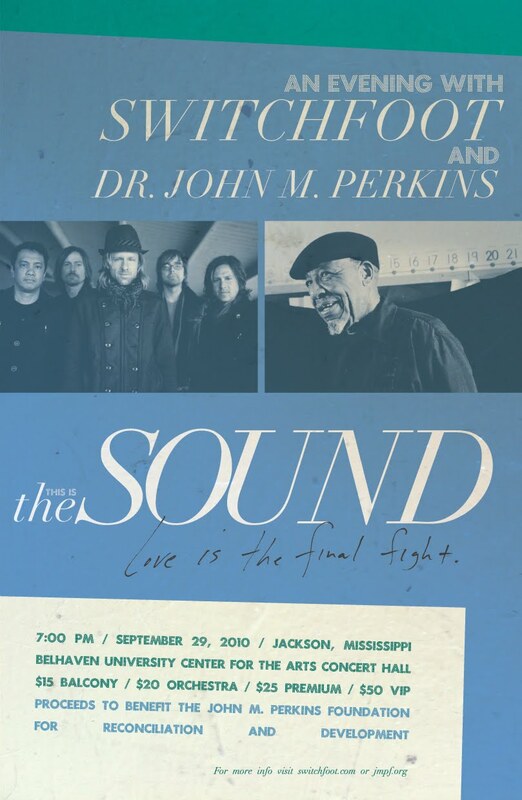 We have received word that Switchfoot are excited to host and play a benefit concert at Belhaven University in Jackson, MS for the John M. Perkins Foundation on September 29th! - Tickets go on sale Friday, September 17th, and FOTF presale begins today! Tickets are limited, so be sure to grab them now! - If you are interested in contributing to the JMP Foundation and will not be able to attend the show, please visit jmpf.org. All proceeds for this event will benefit the John M Perkins Foundation. I am thoroughly impressed by the things Switchfoot are doing for this great man. 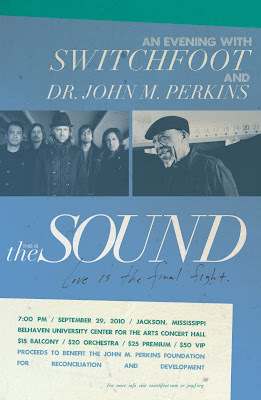 John M. Perkins' story is one that has been overlooked and underexposed by much of the mainstream media, so the fact that the band is looking to use its position to shine light on Mr. Perkins' story is fantastic. If you are in the Jackson area, please make an effort to go out and support this evening! It sounds like it's going to be a remarkable night of beauty, social justice, and the human heart. Labels: "An Evening With Switchfoot and John M. Perkins: The Sound"